Sir Charles Hallwyn is on a quest for dragon eggs when he encounters an angel sitting on a rock. The angel says he has to sit on the rock for three years, a punishment for an uncharitable remark he made at a friend’s expense. Sir Charles recognizes an opportunity when he sees one (he’s been selling dragons to train young dragon-fighters for years now) but as it turns out, dragons are also good at recognizing opportunities. And there’s one very angry dragon-mom on the way. 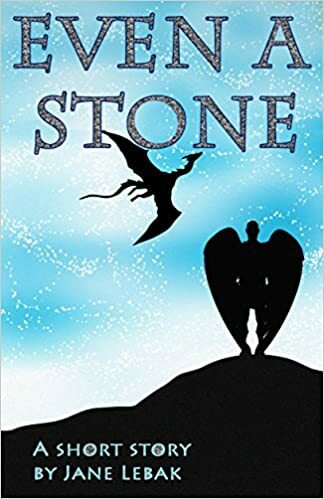 Originally published in Dragons, Knights and Angels magazine, Even A Stone sees a chance meeting change Sir Charles’ entire life, and an angel may learn whether even a stone warms up if you sit on it. This surprised me. I admit, I just started reading it because "dragons" but it definitely got some consistent laughs and was heartwarming in places. It has a quirky, clever style. Definitely recommended. I'm going to be checking out Lebak's longer fiction next.